WALTHAM, MA--(Marketwired - October 01, 2015) - Elsevier, a world-leading provider of scientific, technical and medical information products and services, today announced the publication of six new animal science books, including the second edition of the comprehensive resource Animal Behavior, edited by Michael Breed and Janice Moore. The book broadly covers animal behavior from its neurological basis to the importance of behavior in conservation. The second edition of Animal Behavior includes an entire chapter devoted to the new field of behavior and conservation, including topics such as social behavior and the relationship between parasites, pathogens and behavior. 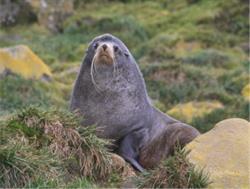 Coverage also includes foraging behavior, mating and parenting behavior, anti-predator behavior and learning. Animal Behavior addresses the physiological foundations of behavior in a way that is both accessible and inviting, with each chapter beginning with learning objectives and ending with thought-provoking questions. Additionally, special terms and definitions are highlighted throughout. Containing more than 50 percent new case studies, the book is a rich resource for students and professors from a wide range of life science disciplines. The two editors of Animal Science have nearly 70 years of combined experience as university professors. Dr. Michael Breed is a professor in the Department of Ecology and Evolutionary Biology at the University of Colorado, Boulder. He teaches courses in general biology, animal behavior, insect biology and tropical biology. Dr. Breed's research program currently focuses on the behavior and ecology of social insects (ants, bees, and wasps). Dr. Breed was executive editor of the Elsevier journal Animal Behaviour from 2006-2009. Dr. Janice Moore is a professor in the Department of Biology at Colorado State University, where she teaches courses in invertebrate zoology, animal behavior and history of medicine. She studies a variety of aspects of parasite ecology and host behavior ranging from behavioral fever and transmission behavior to the ecology of introduced parasite species. Elsevier uses proprietary tools to identify knowledge gaps in animal science. Editorial teams then strategically fill those gaps with content written by key influencers in the field, giving students, faculty and researchers the content they need to answer challenging questions and improve outcomes. These new books are key examples of how Elsevier is enabling science to drive innovation. E-book review copies of the books are available to credentialed journalists upon request. Contact Michelle McMahon at m.mcmahon.1@elsevier.com or +1 781 663 2268. From Animal Behavior, Second Edition by Michael Breed and Janice Moore, Figure 3.5: Figure 3.5. A gray wolf (left), a Mexican wolf (center), and an Arctic fox (right). The gray wolf (Canis lupus) is an excellent example of a species with population-level behavioral differences that may reflect selective effects of differing environments on those populations. Prior to the spread of humans from Europe into North America, wolves were widely distributed on the continent and could be easily separated into subspecies based on their habitats. Photos: (Left) Frank Wendland, W.O.L.F. Sanctuary, www.wolfsanctuary.net, www.facebook.com/wolf.sanctuary; (Center) US Fish and Wildlife Service; (Right) Keith Morehouse, US Fish and Wildlife Service. 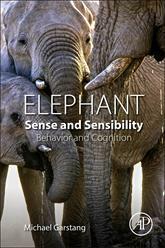 Elephant Sense and Sensibility by Michael Garstang is a comprehensive treatment of the full range of elephant behavior. Beginning with chapters on evolution and the elephant's brain, this book is an integrated presentation of the elephant's capacity for memory, morality, emotion, empathy, altruism, language, intelligence, learning and teaching. Grounded primarily in scientific research, the book also draws upon anecdotal and visual evidence showing elephants thinking, acting, feeling and behaving in ways that we, as humans, recognize. This complete treatment of elephant behavior supported by the extensive literature, along with anecdotal and photographic material, provides an overview not available in any other text.